Berlin and Washington don't see eye to eye on a number of foreign policy issues, which became more apparent during last week's Munich Security Conference, where German Chancellor Angela Merkel received lengthy applause for a speech in which she criticised unilateral US foreign policy and defended the Iran nuclear deal. Sputnik: What's your impression of Angela Merkel's speech and the reaction it received? Kostas Gouliamos: I would like to say that the European conference was not a simple depiction of a vulnerable political environment due to contradictions between the United States and the European Union. 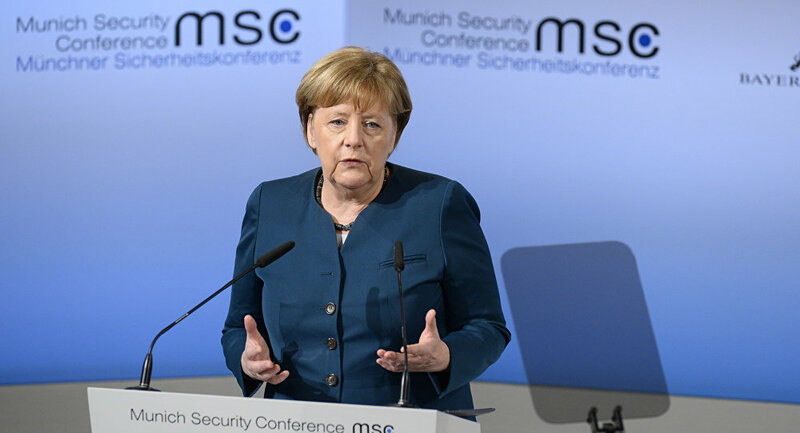 And of course, Mrs. Angela Merkel warned in Munich of the dangers of American isolationism and loyally defended multilateral institutions under threat from United States policy. I believe that Washington transfers from the United States to Munich the bleak shadows of the far-reaching negotiations with Beijing on trade issues. As you know, the deadline for reaching an agreement expires on 1 March. If [talks] fail, Donald Trump is determined to [pursue a] widespread trade war, escalating the move that began last June when he imposed high tariffs of around 25% on a number of Chinese products. 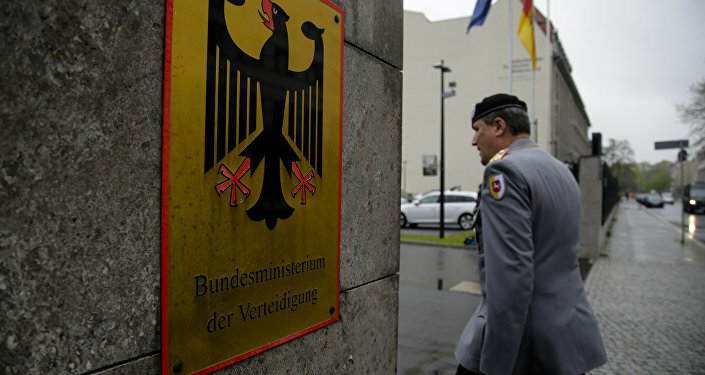 Nevertheless, given the escalation of political explosiveness and economic impulsiveness that the Donald Trump period signals, where there are far more questions than the answers, I would argue that the intra-contradictions between Washington and NATO, and NATO's (contradictions) with the (other) allies were not only remarked [upon] in Munich. More importantly, they have officially pronounced the [emergence] of new risks and uncertainties. Sputnik: It's very interesting what you're saying there, it is also interesting that given the strained relationship that Germany has had with the US since President Trump's presidency began in terms of payments into NATO and trade disagreements. Why do you feel that Angela Merkel has decided to stand up to the United States at this point in time after all? Kostas Gouliamos: I would like to say that [it's due to] intensified United States and European Union competition shifting threats to the Eurozone. From the disruptive agendas of NATO in the Balkans, Black Sea, and the Middle East, there has been an overall escalation of new and unsettling geopolitical risks. Across the Middle East and North Africa region, 71 million people are in need of humanitarian assistance, over half of these are children. Consider Syria for instance. Today over two million children, 36 percent of the total number, are [unable to go to] school, hundreds of school have been attacked. In any case, the geopolitical environment is the most dangerous it has been in decades. So the growing concerns about geopolitical conflict, US political turmoil, the NATO aggressiveness and expansionism, and the EU's inability to deliver clarity in key policy areas makes European as well as international public opinion pessimistic regarding future peace. Moreover, the risk of global competition and in particular the amplified need for the United States to seek new ways of conquering sovereign (countries) worldwide is rising and simultaneously generating a plethora of cyclical economic risks.